1. What’s your role here at C&H and what does it really entail? I have no idea… Ask me again in six months. The biggest thing for me when I joined was that we were inheriting an awful lot of talent from our previous caterers, which, just through circumstance really, was underused. Now we’ve given them back their empowerment and let them run their own kitchens at each one of our sites across London. 2. What’s the best thing about working for C&H? Variety. I do so many crazy and different things. There’s the restaurant side and then events and there’s so many different types of events that we cater for. I mean, no client is the same, so no brief is the same. It’s all very free and personal - food is very important to people, so it’s amazing when you can get that right. Especially with weddings, that’s just so special to be a part of. Our aim is to get as close to restaurant standard for every single event we host as we possibly can. And so far, we’re achieving that. Which helps me sleep at night. Well, if I was chatting to staff, I’d just say follow your heart and do what you want to do and what makes you truly happy. 5. What book could you not be without? My new vegan cookbook that I bought in Waterstones. It’s so important to look after everyone with the food you have on offer and diets vary so much. I always try and give my veggie and vegan dishes the same feel as my other dishes, so they look similar and I was worried a little while back that I hadn’t got there yet with the vegan offering. I have now! Tim Hughes, chef director at Caprice Holdings. This is a bit harsh… Hmmm. When I was travelling in Australia, I had a job unloading shipping containers from Italy. It was just tins of olives, olive oil and tomatoes. I found it depressing so went to the pub for lunch and never went back. 8. Favourite ingredient to cook with? Wild garlic. You can overdo it though. The sad thing is, as soon as something is discovered or rediscovered it often gets done to death until the cycle starts again. 9. Best meal you’ve ever had? There’s two. I was fortunate enough to go to the opening of The Fat Duck in Melbourne. Don’t ask the story, but it was great. I just had all the memorabilia from that day framed for my wife for Christmas. It was a tasting menu so lots of classics. The whole experience of it was amazing. The second was when I was travelling with my mate about 18 years ago. Went to Himalayas and trekked Kala Patthar. When we got back to Katmandu, we ate steak and chips. It was yak steak, but it was such an incredible meal. Negroni. It makes me a bit wonky though. Pat’s Saint Clements is amazing too. 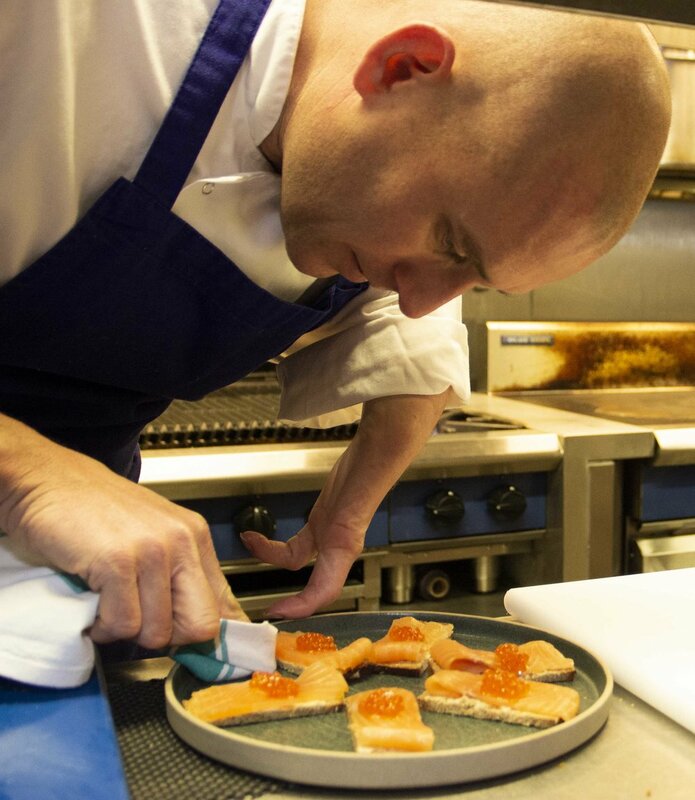 Ronnie Murray has joined London-based iconic events company Camm & Hooper as group executive head chef. 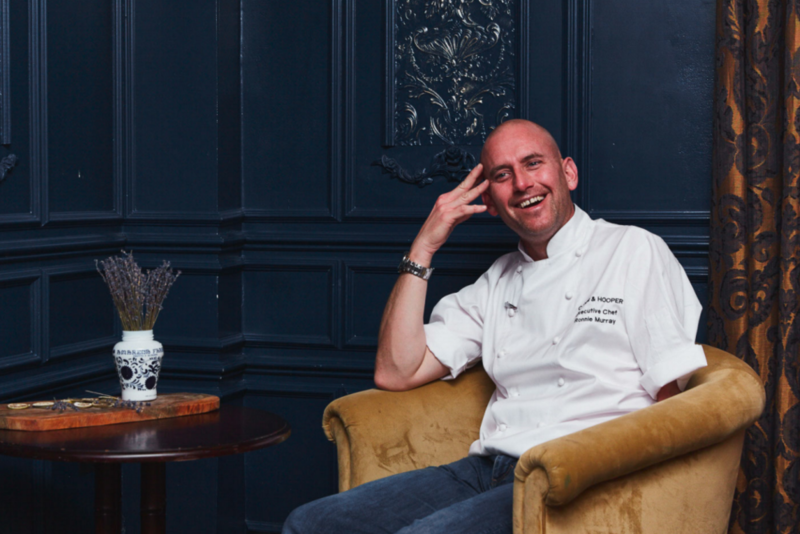 Ronnie, who previously spent seven years as group head chef of HIX Restaurants, will create new menus for all six of Camm & Hooper’s London venues whilst heading up of a team of 20 chefs. Camm & Hooper delivers exceptional events in banks, warehouses, townhouses and libraries, transforming some of London’s most iconic venues. Ronnie trained in patisserie and for 17 years worked for many critically-acclaimed restaurants including J. Sheekey and Scott’s restaurant. 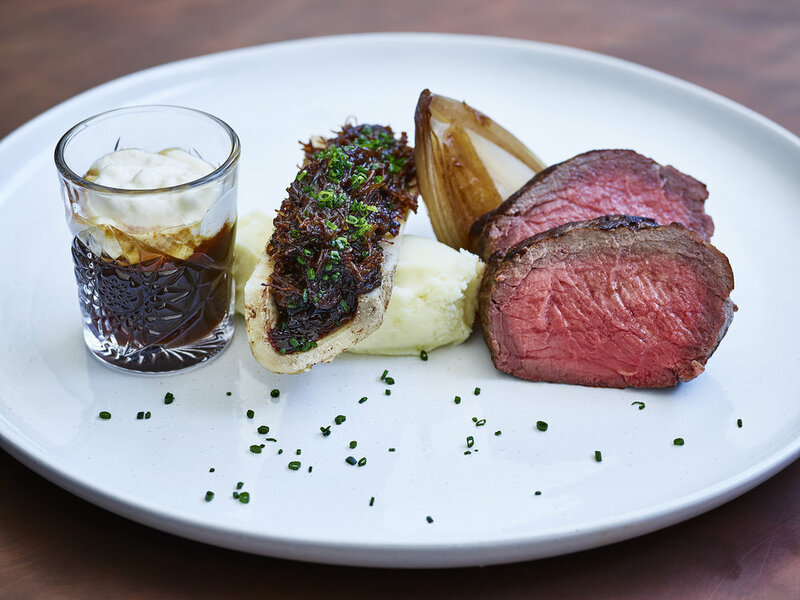 After his time at Mark Hix’s highly-successful restaurants he set up his own company Peckham Manor, which includes pop-ups and supper clubs. Ronnie has also appeared on the Great British Menu, Million Pound Menu, Sunday Brunch and has aired demonstrations on the Vice channel Munchies. He joined Camm & Hooper late last year. 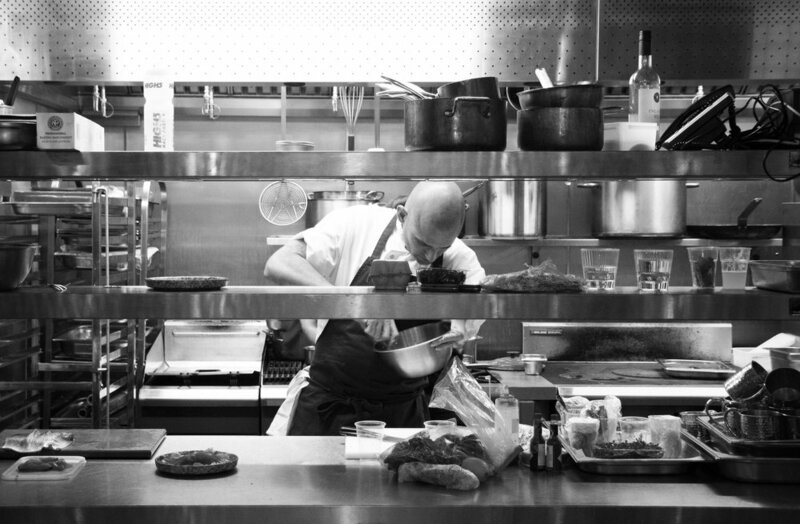 He will launch Camm & Hooper’s exciting new menus later this month. Debra Ward, Managing Director for Camm & Hooper, said 'We are thrilled to have Ronnie at the heart of our in-house team. Ronnie's ability to curate simple seasonal items, expertly create innovative dishes combined with his passion for team development is already transforming our clients’ gastro-experience." 1. What is a Chief Booze Engineer (apart from the best job title in the world)? This is really the culmination of 20 years of tending bar and creating drinks. I am not really a fan of the term 'mixologist'. Seems a bit pretentious, non? Making drinks is not all that's at stake here. Being a good salesman, a thoughtful craftsman, a bit of an artist all helps. Most of all though being a great host. The Booze Lab! I get to do some really whacky stuff with drinks, and I love the expression on people's faces when they walk through the door. Pure wonder, as it should be. If people want something really special or bespoke we can sit down and run through their criteria. I have produced infusions based on the flavour pyramid of perfumes. Really interesting because of the close relationship with distilling for fragrance and distilling for drinking. Best not to get the bottles mixed up though. Last year I produced a cocktail for a company's Bi-centennial anniversary. It ended up being reproduced around the globe so very proud of that one. 5. What luxury item would you take on a desert island? Hmmm good question. It would either have to be Spotify and something really loud to play it on or an endless supply of Wray & Nephew. What's the point of being on a desert island if you can’t have rum? 6. What’s the most bizarre ingredient you’ve put into a cocktail (so far)? 7. What’s your hangover cure? 8. What’s the worst job you’ve ever had? I worked in a high street bank mail room sorting statements into envelopes. Mind numbing! 9. Your all-time favourite cocktail? The one that someone is buying me. 10. If you were a cocktail, what would you be? Rum old fashioned. Sweet, strong and not to everyone’s’ taste. On the 8th February we hosted the catering for the Macmillan Cancer Conference at Whittington Hospital. We were thrilled to offer our services to such an incredible cause, which is incredibly close to our hearts here at Camm & Hooper. See below for some images of the day and some of the food & drink we were serving up. It was absolutely wonderful and please can't thank the team enough! The food was amazing. I't's such a treat for our patients to get such lovely food and great enthusiastic young people serving it!! Double whammy! 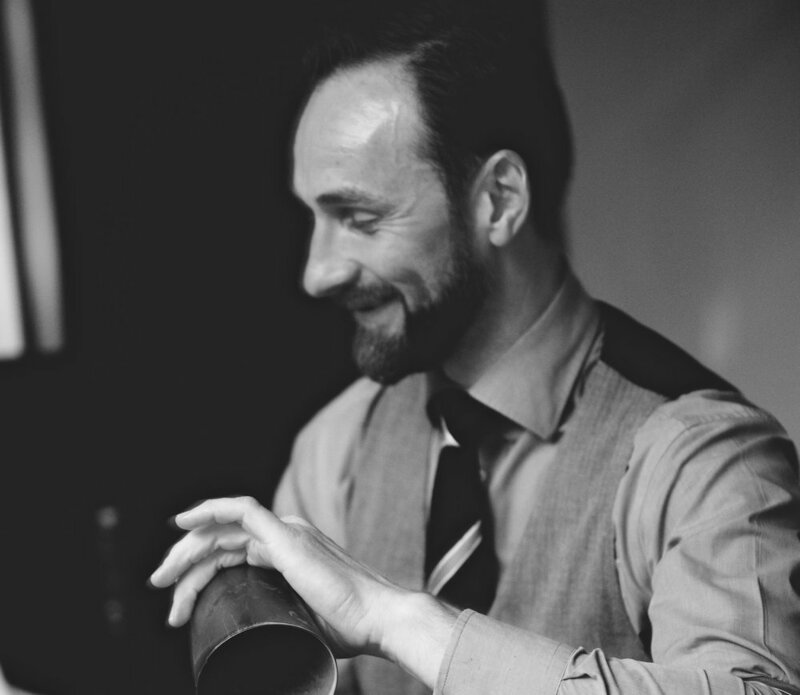 We chat to Mark Niemierko about his top wedding planning tips. After all of the food, drink and merriment of the festive period it can be hard to get going again when the new year comes around. We have put together an incentive package to help combat all of those sluggish feelings and get you biting at the bit for your 2019 event schedule. Enjoy all of the benefits from our standard DDR Packages but at a fraction of the price. Explore the venues packages below. If you would like to bring in your own AV company this is no problem at all. A £500 + VAT technical support management fee will apply and will enable our onsite technician to work alongside your chosen company. They will provide support prior to the event and on the day. Event and hospitality group Camm & Hooper is thrilled to have won Best Venue Portfolio Marketing and Best Private Dining Venue at the Hire Space Awards. The Hire Space Awards celebrate the best of the events industry, by recognising and rewarding hard-working, innovative and forward-thinking venues and event bookers around the UK. The annual awards took place on October 24th at the Museum of London in the museum’s galleries and the Sackler Hall space. 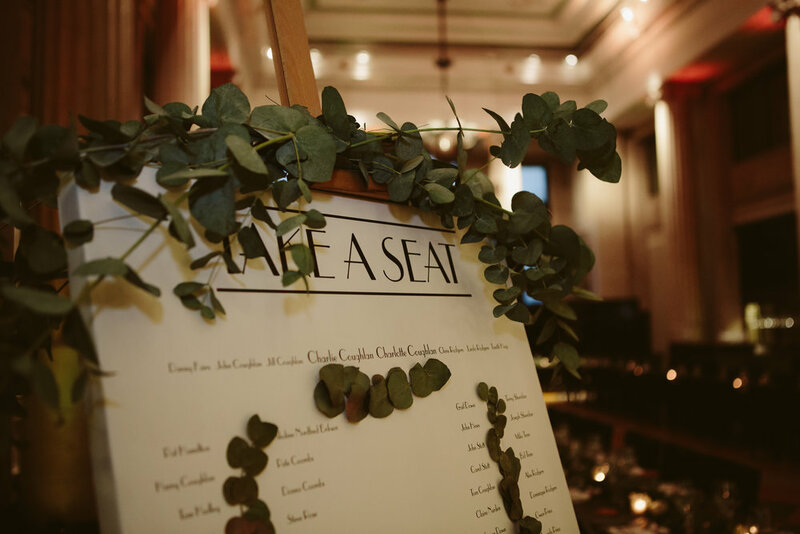 Camm & Hooper has evolved the events industry model, taking inspiration from the relaxed, contemporary setting provided by bars and restaurants and transitioning it into an events environment. Its approach is innovative, creative and unrivalled. You will find Camm & Hooper in some of the most unique and historic buildings across London. Its first two locations, Tanner and Co and Tanner Warehouse opened in 2012, followed by Banking Hall, Cornhill in May 2014. The Victorian Bath House, Bishopsgate opened in December 2015 and Six Storeys on Soho launched in Autumn 2016 followed by Grace Hall, Leadenhall in Autumn 2018. The evening consisted of 15 awards across 4 categories - Modern Venue Marketing, Most Popular, Forward Thinking Venues and Superstar Event Organisers. Camm and Hooper’s fifth venue, Six Storeys on Soho scooped the award for Best Private Dining Venue. The venues innovative food and beverage offering, stunning interior and impeccable service are what make this venue stand out from the rest. Comprised of five beautiful event floors and a ground floor public bar, Six Storeys on Soho can accommodate up to 50 seated guests. From engagement parties to birthday celebrations Six Storeys has played host to many private dinners. Each floor offers an intimate setting with a beautiful view over Soho Square. Clients can relax in the comfort of their own private room without feeling overwhelmed by the space - whether you’re a group of 10 or a larger party for 50 people, Six Storeys on Soho has a space to match. In addition, Camm and Hooper also won the Best Venue Portfolio Marketing Award. Camm and Hooper pride themselves on creativity and innovation. Search engine marketing – combining organic ranking optimisation (SEO) and Google AdWords (PPC) - is used to increase brand awareness and website conversion. Through the use of Google BETAs, Visual Sitelinks (enabling imagery to be added to paid campaigns), Google Display Network campaigns, trialling Ad variations and using long-tail keywords and location targeting Camm and Hooper are constantly improving website visibility, while pinpointing underserved customer segments, customer needs that haven’t been met and diversifying the target market to build a more sustainable environment. 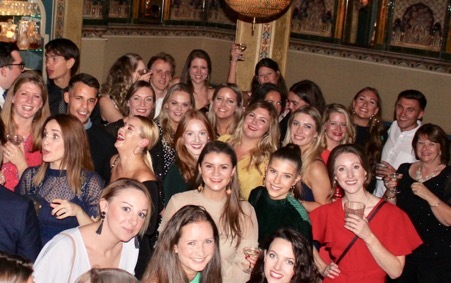 London based events agency, Story has just celebrated its fifth birthday with a party for staff and partners at Camm & Hooper’s boutique City venue, Victorian Bath House. The 50 staff and partners were treated to delicious cocktails on arrival, followed by a three-course dinner on a single long table running the length of the main space. This award-winning agency has grown from turning over £3.1m in its first full year of trading, to a forecasted £7.7m in their current year. 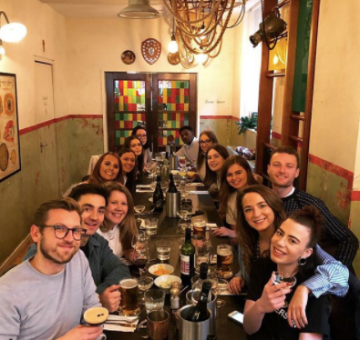 This growth has been delivered across all three business areas and the team now boasts 24 full-time staff, supported by three event management interns as part of their ongoing commitment to developing industry talent. Camm & Hooper have had a long and close relationship with Story Events, which started with hosting their first London Christmas Party Show at Banking Hall shortly after the venue’s opening in 2014, whilst its Venue Search London brand have introduced great client to our expanding venue portfolio over the past five years. 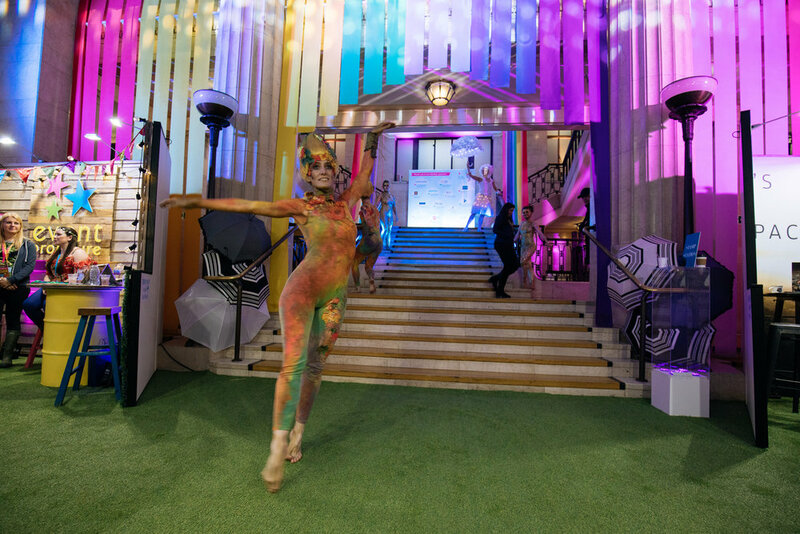 Story Events have just opened the registration for their London Summer Event Show at Banking Hall in January, the 10th in the series of their award-winning seasonal event shows, which witnessed record revenues and attendances in 2018. CAMM & HOOPER SPONSOR LGBTQI CHARITY GIVEOUT. (LONDON)— Events management company Camm & Hooper and LGBTQI charity GiveOut today announced a new corporate-charity partnership. Camm & Hooper will be providing GiveOut with free use of its Six Storeys venue in the centre of vibrant Soho. 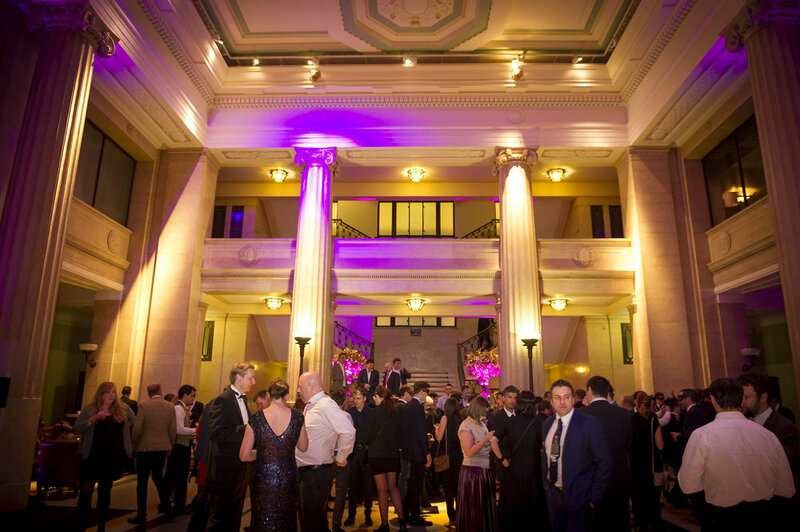 The venue – spread across six floors, each with a unique atmosphere – offers the perfect setting for GiveOut to host events for its community of supporters. As part of the new partnership, the events specialists will also be fundraising for GiveOut and donating to support the charity in its work to raise funds for LGBTQI human rights activism worldwide. “We are thrilled to be able to support GiveOut, an extraordinary charity. The work they do in championing LGBTQI human rights causes across the world is close to all our team’s hearts as an international and people-led organisation.” said Debra Ward, Managing Director at Camm & Hooper. “On behalf of GiveOut and the activists and organisations with which we partner, I would like to thank Camm & Hooper for their generous support.” said GiveOut's Executive Director, Rupert Abbott. “We are so looking forward to working with the Camm & Hooper team to host events for our community of supporters here in London, as we seek to grow philanthropy to advance LGBTQI human rights globally." Camm & Hooper (@Cammandhooper, cammhooper.com) is an events management company based in London. It manages six venues across London, each with its own unique style and atmosphere, for private and corporate events. Camm & Hooper continue to grow with a number of new venues in the pipeline throughout London, with ‘best in class design’. Spaces include Tanner Warehouse, Banking Hall and the iconic Victorian Bath House in the heart of London’s Bishopsgate. GiveOut (@GiveOut_Org, giveout.org) is a UK-based charity raising funds for LGBTQI human rights activism worldwide, ensuring that activists and their organisations have more of the resources they need to defend their communities and campaign for change. The organisation enables individual donors to give tax efficiently in one place to support a broad portfolio of activist-led country, regional and international organisations. Alongside its core portfolio, GiveOut has launched two sponsored funds, The Antonia & Andrea Belcher Trans Fund and The Suki Sandhu LGBTQI Asia Fund. Registered in the UK with the Charity Commission for England and Wales (Registered Charity Number 1176434), GiveOut is a finalist in the 2018 Third Sector Award for ‘Breakthrough of the Year’. Contact: Tom Le Fanu, Head of Comms. On Saturday 19th May at 8pm more than 20 top secret venues in central London will become one huge, overnight playground for 15 teams of the UK's smartest business and academic minds as each strives to win the UK's first Midnight Madness event. Described as a cross between the Crystal Maze and the Da Vinci Code, this unique event originates from New York, and involves teams from Goldman Sachs, GAM investments and others competing to solve a series of devilishly difficult puzzles. Each will be located in secret venues incorporating some iconic London landmarks. From sunset to sunrise, competitors will experience immersive theatre and encounter role-playing actors as part of the puzzle-solving. Each puzzle solved unlocks the next locations, and the winning team will be the first back to base. Teams might find themselves manipulating lasers to unlock a clue in a warehouse, cracking a safe hidden in an empty bank, or using light to signal a passing boat on the River Thames. Note to editors: Free team spaces open for journalists. Video footage and photographs will be available from 1pm Sun 20th. Interview opportunities with Elisha Wiesel, CIO Goldman Sachs & Ewan Kirk, Founder Cantab Capital Partners. Background: In 2015, 21 corporate teams pitter their wits against one another for Midnight Madness New York, raising $3.1m for charity. "MM New York was uniquely exciting and challenging, where teamwork, exploration and puzzle solving come together to make an unforgettable experience." Ewan Kirk, founder and CIO Cantab Capital. Raise Your Hands has been making waves in the charity sector. They're challenging traditional models of charity whilst supporting the underdogs and unsung heroes of the charity sector. Small charities do exceptional work but without the marketing budgets of bigger names, they still struggle for funding. RYH exists to redress that imbalance. In the first three years, Raise Your Hands raised £500k for their selected small charities. They do this by putting on innovative events for their community. Midnight Madness is primarily a corporate fundraising event but RYH also put on cutting-edge events throughout the year for their community of Millennial givers. Top 5 Tips for Planning a Conference! We all know planning a conference is a long and difficult task. It requires intricate and detailed planning and many months of preparation. You want to make sure your conference runs smoothly; your guests are impressed and you achieve what you set out to do. The HeadBox team help plan hundreds of conferences a year for a wide range of clients and have picked up a few tips and tricks along the way. Many of them have been at the fantastic Camm & Hooper venues, so we've joined forces to compile our top 5 things to consider when planning a conference, to help the process run smoothly and make your conference a roaring success. Having a clear agenda from the offset is an important planning stage. This is important for you as the event planner and for the rest of your team, so all the organisers know what time keynote speakers should be, when the attendees can have a break and the general structure of the day. It's also important for the attendees, giving them a schedule beforehand allows them to plan for the day, know what to expect and get excited for all the activities. It's critical for venue manager to have a copy of your agenda well in advance, so they know what to expect from the day and prepare the venue accordingly. 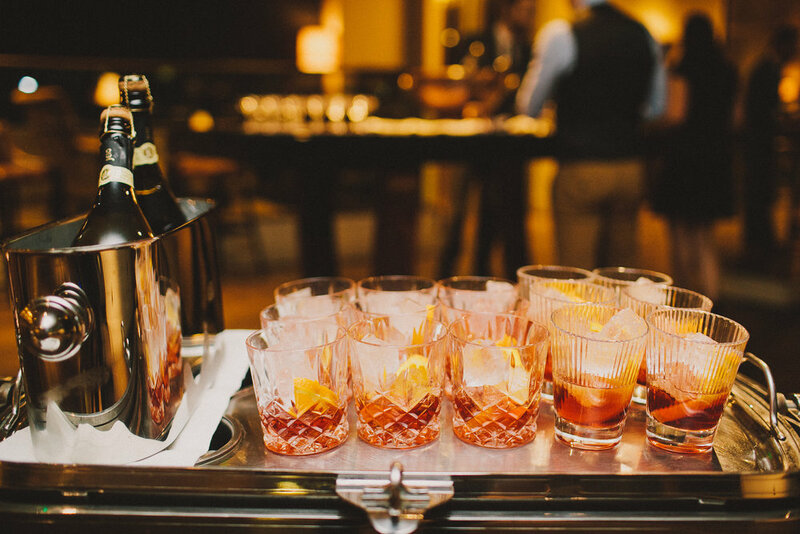 If you're organising an all-day conference, guests will expect refreshments. A good conference is intellectually stimulating so your attendees will work up an appetite! 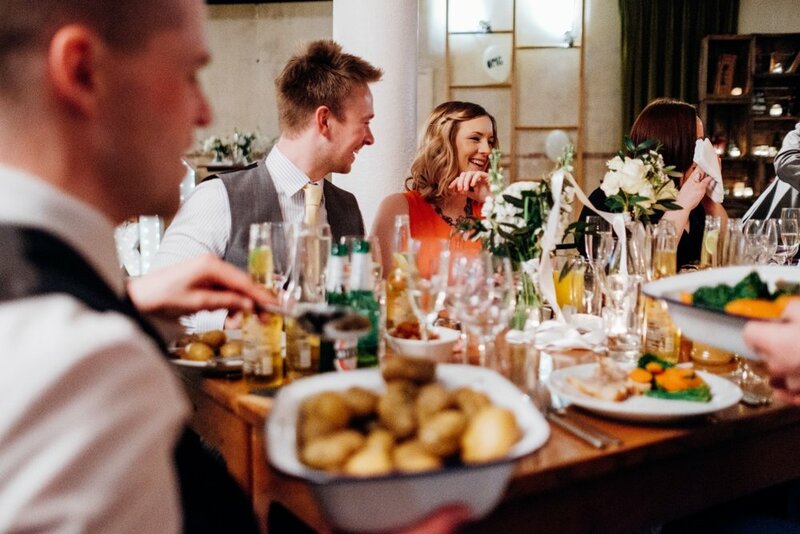 You should always expect a range of dietary requirements and knowing this information in advance is essential so that you can create a varied menu with the team at the venue or with your caterer. Vegetarian and vegan options, gluten free, dairy free and nut free are all things you must consider when organising a conference. Camm and Hooper have a helpful team on hand to make sure you have everything covered. This extra touch and extra interest in detail is a surefire way to make sure your conference caters to all, and to impress your guests. Finding the perfect space is the glue that keeps your conference together. When you find the venue that matches your vision, everything else can fall into place. Camm and Hooper have a variety of spaces that can be used for corporate conference hire. Grace Hall and the Banking Hall are simply stunning. Grand and traditional, the halls are ideal for large-scale conferences. Grace Hall at the enchanting Leadenhall venue has details of the dovetail period with modern styling. 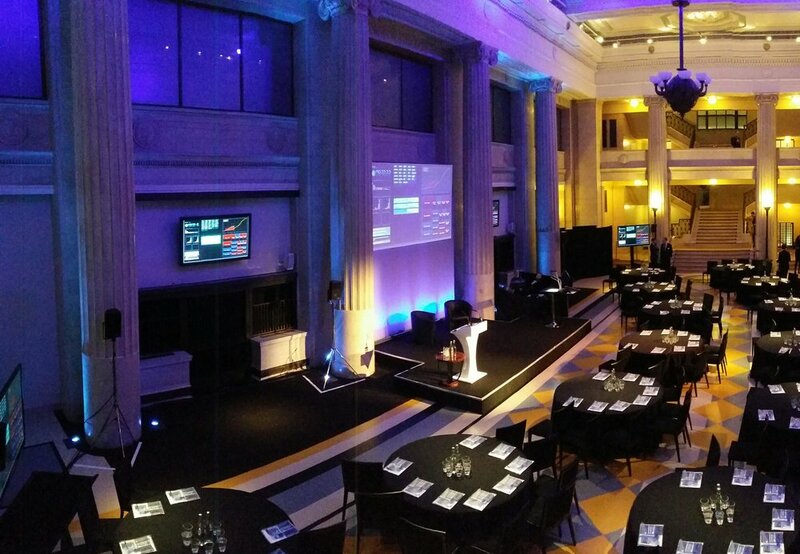 The Banking Hall is also steeped in heritage and is a wonderful Grade II listed building for hire in central London. If you wanted something a little more unconventional, the hidden gem that is the Victorian Bathhouse is opulent and glamorous and an unusual conference venue in the City. If you're after a small conference venue outside the City, Six Storeys is a beautiful townhouse which can host events up to 300 guests. A decadently decorated building which epitomises the spirit of Soho. The important thing to remember is that whatever space you choose, you must ensure that it is right for your audience, that it correlates with your own company and that the venue provides everything you need for your conference. As an event planner, the budget is paramount. Setting and sticking to a budget is perhaps one of the hardest parts of event planning. Darren the venue manager from Camm & Hooper recognises the importance of being realistic about budget. He said, "tell us your budget; being as honest as possible with the venue team allows us to work within the realistic parameters. If we cannot help, we will let you know." If you don't have an event marketing team there are simple yet effective ways you can market your event. Prior to the event make sure you are getting interactive on social media. Tweets, Instagram Stories or even Facebook Live videos will get your attendees excited for the event. You could even create a forum where attendees, keynote speakers or sponsors could communicate before the day and ask any questions. After the event, it's important for your communication strategy to allow for attendee feedback. You could very quickly and easily create a Google Form which you send out to your attendees after the event. Event marketing doesn't have to be complicated, there are plenty of free and simple tools that are accessible for all. Event marketing is also a great tactic for companies looking to build their brand, generate revenue and create or strengthen partnerships. As an event planner, make sure you leverage some of the easy and accessible marketing tools at your disposal. Social media provides a completely free way to get the word out there and the tactics and strategies can be scaled up from there, depending on budget. These five easy tips will help you plan the perfect conference. If you follow these steps you're sure to make your conference accessible and under budget, and you will ultimately receive great feedback. Remember that the venues are important and planning in advance means you can get a simply stunning space, just like the Camm & Hooper venues. Liv is the Digital Content Executive at Headbox. Reinventing the global events industry through technology. HeadBox produly represents Camm & Hooper. 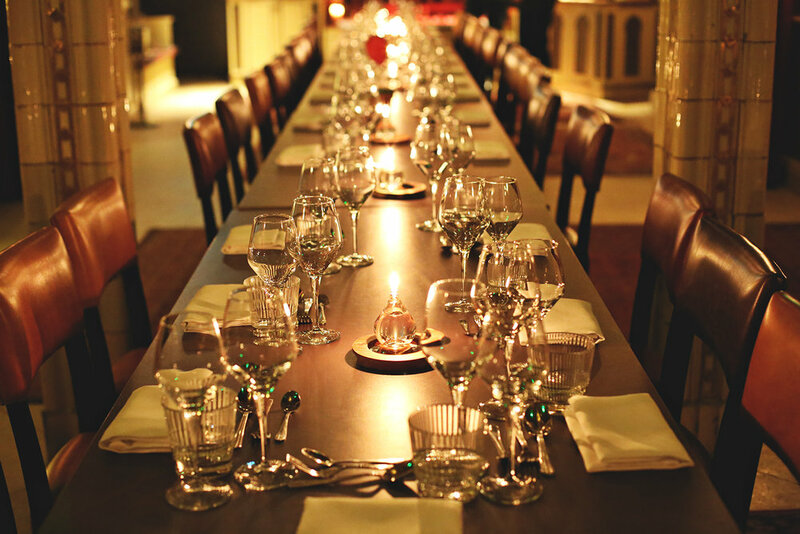 Must Read Hints and Tips For Planning a Private Dining Event! There is a lot of tiny details to plan for when hosting a private dining experience for your guests that are often forgotten about, don't worry, we are here to help, with our hints and tips from our planning experts that will make your dinner unforgettable. What time to dine and how long should reception drinks last? How long should your guests be kept schmoozing and enjoying reception drinks before they get to eat? We would recommend having a short reception with a glass of fizz or cocktail and then go straight into the dinner or a longer reception with some delicate canapés to keep guests from getting hungry before they are seated. What are the dietary requirements? Are children attending? Dietary requirements are very common. Check if any of your guests are coeliac, vegan, vegetarian, allergic to seafood or nuts. 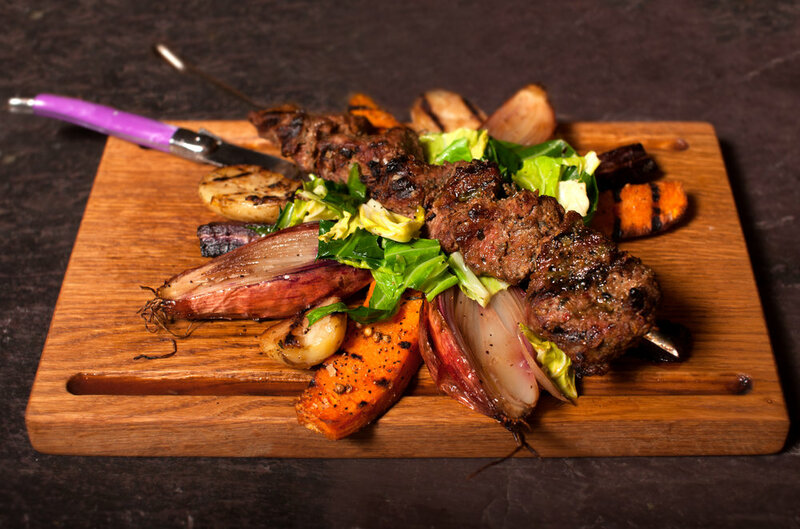 Choose your menu, then a few other dishes for those with special requirements. Our menu has a thought of everyone section that has dishes suitable for all requirements to make sure every guest is catered for and doesn't miss out. Don't forget if children are attending you will need a suitable main and dessert for them. What drinks for the reception? 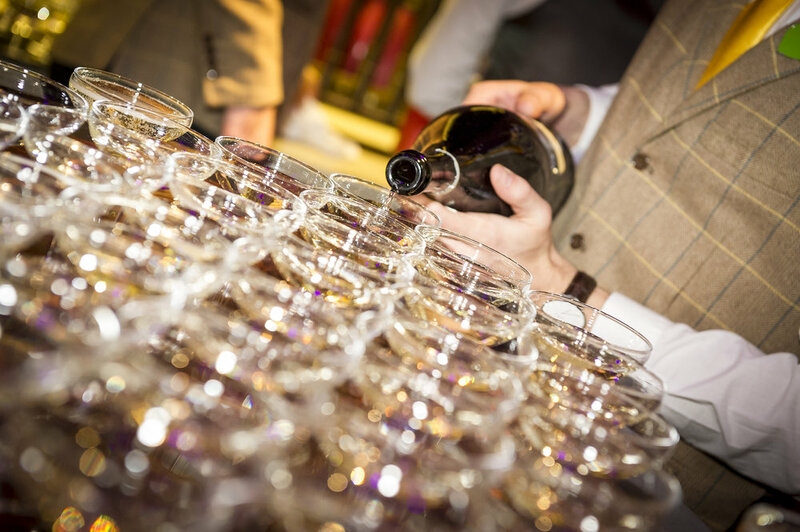 From Prosecco to champagne to sparkling wine to cocktails it can be difficult to decide on a reception drink that is a crowd pleaser. The best way to decide is to do a tasting and choose something that is easily drinkable. If your event has a special theme it is a nice idea to do a cocktail that represents that theme. For example, if you were having a 1970's party it might be nice to serve a retro Rob Roy on arrival. Which wines to serve with your meal? red or white? In your tasting of food and drinks choose a white and red wine, you will always need both. Choose something that is popular with a majority of people, not a really sweet flavoured wine or overly dry something that will please the crowd. It is also good to choose your wines based on what goes well with the main course dish of your menu. 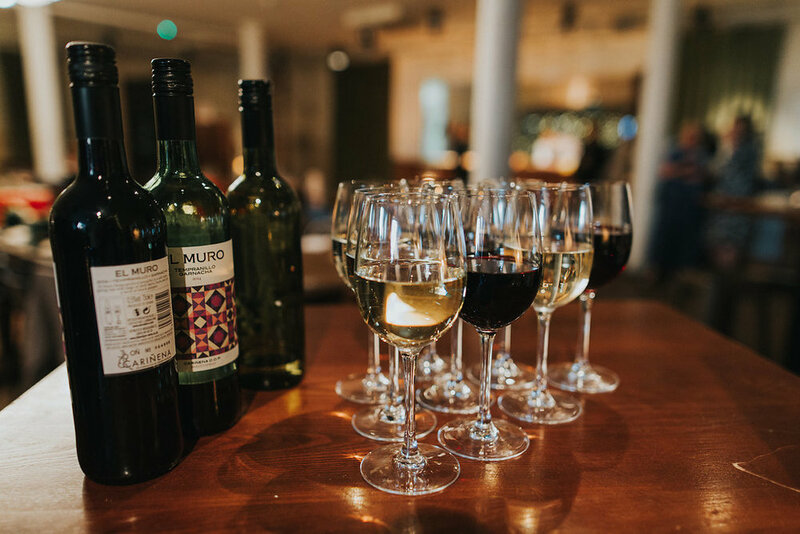 We can give great recommendations of wines from our wine list that pair perfectly with our catering. What seating plan do you want? There is the layout of the tables, rounds, squares, one long table to think about and who will sit next to who. It is usually better to have people sit with familiar people at social events, it allows them to relax and enjoy easy conversation. At corporate dinners, it is nice to get like-minded people to sit next to each other so they can network in a new or the same industry. The summer is a wonderful time of year to throw a bash, with longer evenings and the warmer temperature your guests will be in high spirits to let their hair down, enjoy cocktails and celebrate. Clever lighting makes a party more enjoyable, think about your home and how you use lighting and candles to create different moods, playing with lighting is key to a successful event. Whether you choose to inject drama into your event using bold colours or create a magical ambience with fairy lights and candles, lighting effect's the mood and environment of your party. 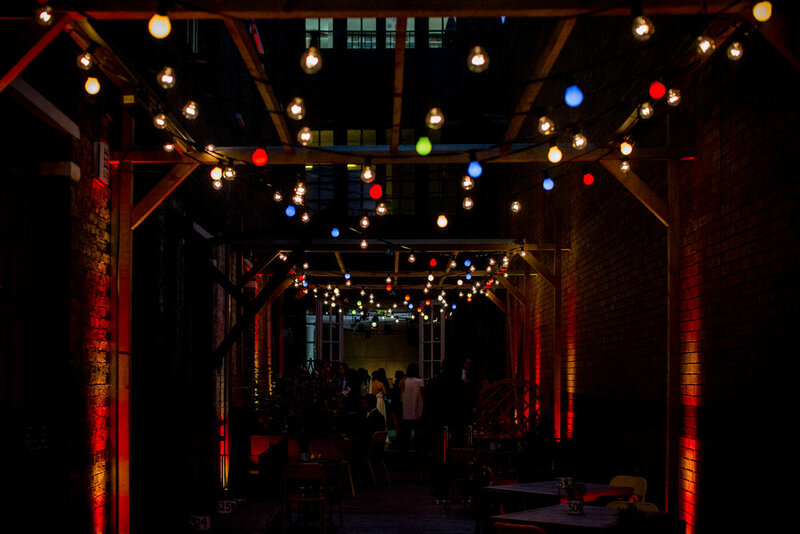 Our Bermondsey venue Tanner Warehouse has a terrace lit with coloured bulbs, making it a perfect addition to summer parties, especially when the sun falls, it is a lovely place for guests to take a break from the warehouse and get lost in the warm summer evenings. 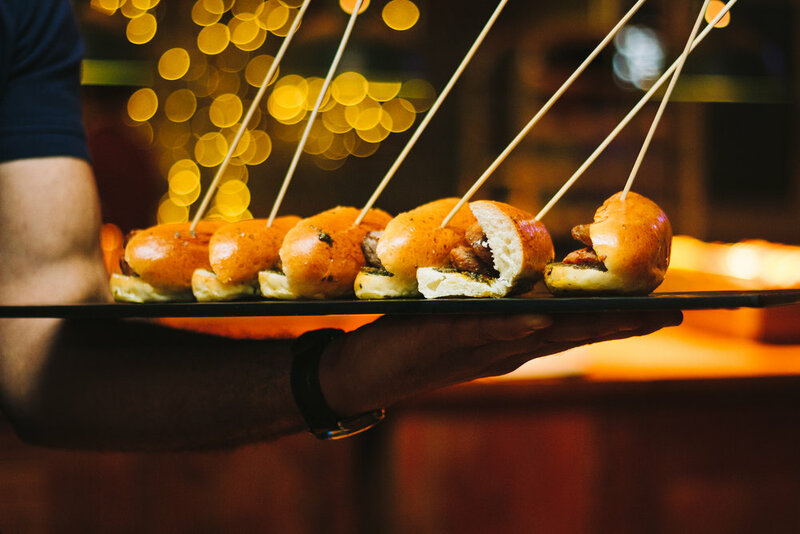 Casual style menus are popular for summer events, try a BBQ, a spit-fire roast or fish and chips to feed your guests, informal canapés such as mini burgers, sausages on sticks and summer fruit cups are also perfect light bites for when it's warm. For the booze, Infused gin and jugs of Sip Smith Summer's Cup on a hot summers day or simply filling a container with ice and cold beers and ciders are ultimate crowd pleasers. Our brand new Spring Summer Menu has an additional BBQ package perfect for summer events, with grilled sausages, burgers, chicken or prawns, delicious potato and pasta salad sides, all the baps and wraps, sauces and smashed avocado, it is the ultimate summer event feast. Themed summer parties are engaging and memorable. They can be bright, colourful and extravagant or simply a colour theme that reflects a brands logo, themes create an exciting atmosphere for your guests to get lost in the event. Our City venue Banking Hall hosted the London Summer Events Show in February, the place was decked out in a summer theme using the best of London's suppliers. The environment was colourful and memorable, reflected in everything from the entertainment, colours, catering and drinks. It may be Summertime but in the UK we can never be sure that rain won't hit. Especially if your event is outside, getting a heated marquee or arranging some sort of shelter is important to keep your guests warm and dry when Summer rain hits. Make sure you book a venue or arrange shelter and heaters incase of the typical British weather hitting unexpectedly. Every year we feel that Mother's Day springs upon us out of nowhere. Year after year there is always a guilty rush to your local M&S for another bunch of flowers and the biggest chocolate selection box you can find. Want to really show your Mum how much you appreciate her this year? We have put together our top 5 ways to spoil your mum this Mother's Day. Whatever your budget and whatever her taste, show her how much you love her with these simple ideas. If you are away for Mother's Day create a little I-owe-you coupon for one of the below and treat your mother to it later on in the month. What better way to celebrate your mum than taking her for a boozy brunch? Treat her to burgers, buns and booze at our lively Tanner & Co. A great idea to get all the siblings together for an afternoon of sharing funny stories about Mum, indulging in delicious Tanner grub and not knowing when to stop with the bottomless booze. See our brunch menu here. Got little ones in the family? Help them cook a delicious breakfast for Mum, serve it to her in bed with a good cuppa tea. Children get so excited about treating their Mum or Granny and it's a great way to start a lovely day of pampering. How about flipping up some of our best pancake recipes. Fun for the kids and a delicious treat for your Mum. 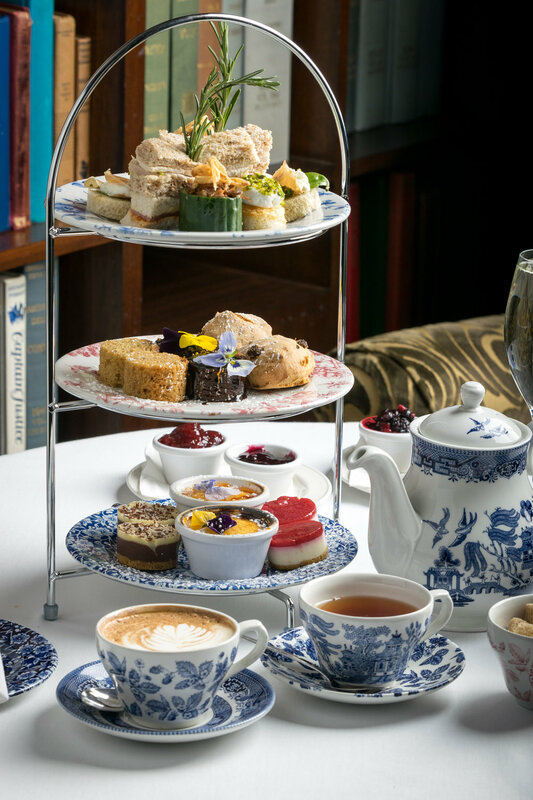 Take your Mum for afternoon tea at Six Storeys on Soho, available for Mother's Day only! Let her experience an afternoon tea like no other. With a menu full of English favourites with a unique twist. 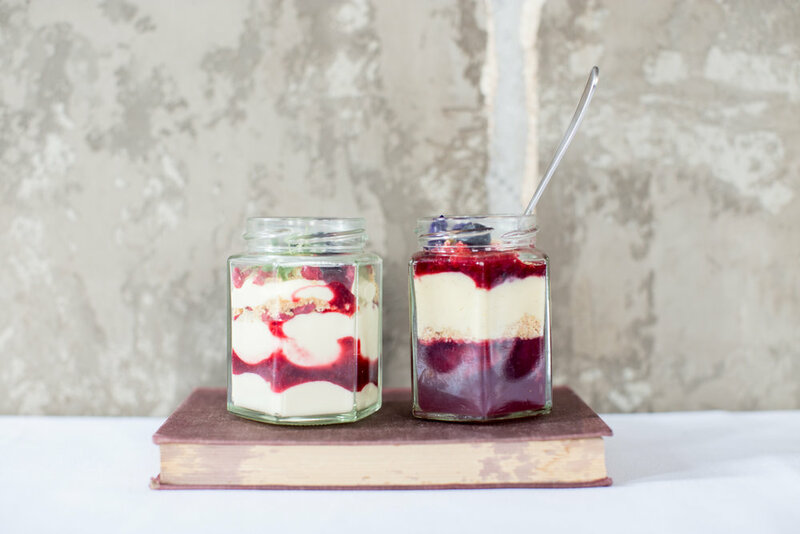 Indulge in Scotch eggs, mac 'n' cheese balls, Bakewell tarts and more whilst also enjoying a coupé of prosecco. One not enough? upgrade to Bottomless fizz, wine and punches. Leave the I-heart-Mum mug to one of your less imaginative siblings, give her something she really wants to drink with, one of our in-house infused spirits. 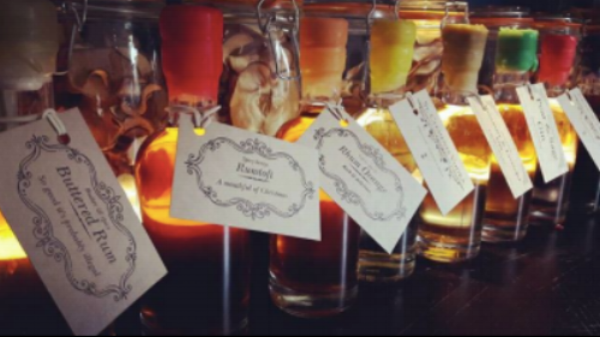 Available to purchase from Six Storeys on Soho and Tanner & Co, take home a small bottle of one of our spirit infusions for your Mum to try at home. Get her to mix it up with tonic or bitter lemon for a fancy tipple or pour it pure for to give her a kick... let the Monday morning hangover commence. Happiness is quite literally a home-cooked roast by your Mum, but it's time to give her a Sunday off. Treat her and bring the whole family down to Tanner and Co for a Sunday Roast with a glass of fizz, book in advance for a table of four and Mum dines feee.. Indulge in prime cuts of British meats, Yorkshire puddings, goose fat roasties that might even top Mums, seasonal veg and jugs of proper homemade gravy! Are You Sweet or Savoury? Pancake Day Recipes You Will Love! Pancake Day is just round the corner. The one day a year nobody can say anything if you have pancakes for Breakfast, Lunch and Dinner. 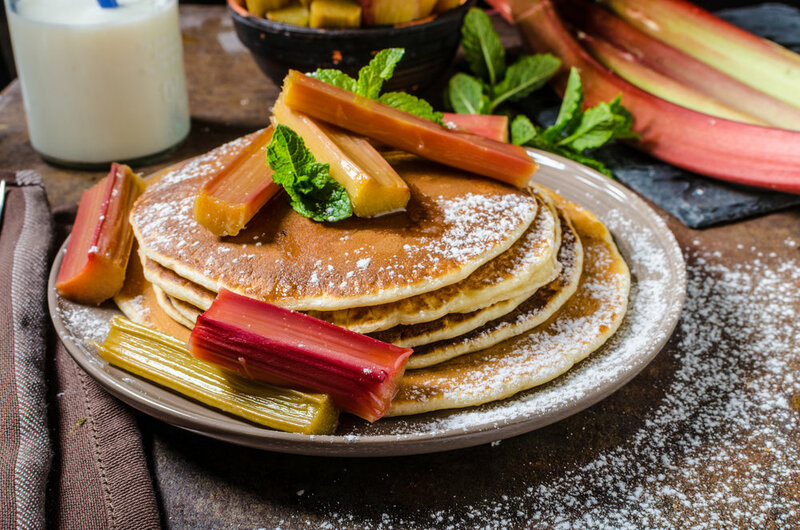 However, here at Camm and Hooper, pancakes aren't just for a day, we recommend you get this page bookmarked and start flipping all year round. We've got irresistable crêpe recipes from our head Chef Alan Lucas. Will you be sweet or savoury? Tag @cammandhooper to show us your creations! 1. Mix the flour, baking powder, rosemary and a good pinch of salt in a large bowl. Beat the egg with the milk. Make a well in the centre of the dry ingredients and whisk in the milk mixture and melted butter to make a thick, smooth batter. Place in the fridge while you prepare the rest of the ingredients. 2. Over a medium heat, add a knob of butter and 1 tsp oil to a large pan, then add the butternut squash and cook for 10 mins until tender, turning the heat up for the final few mins to brown a little. Remove batter from the fridge, add the goat's cheese and squash, then carefully fold everything together. 3. Heat a little oil in a non-stick frying pan, then, in batches, add a ladleful of batter per pancake. Allow to cook for 3 mins until bubbles cover the surface, then flip over and cook the other side until golden. 1. Sift the flour and salt into a large bowl. Whisk together the egg and milk in another bowl the. slowly pouring the liquid into the dry ingredients, whisk together until the batter is smooth. Set aside and leave 20 minutes. 2. To make the pancakes, heat a 20cm/8in crêpe or omelette pan until very hot, drizzle in a small amount of oil and tip the pan to swirl the oil around. Ladle in about two tablespoons of batter mix and immediately tilt the pan from side to side to get a thin, even layer of batter to cover the base of the pan. Cook for around 30 seconds until the underside is golden then flip or turn with a pallet knife. 1. Heat over to 140C/fan 120C/gas 1. Put the rhubarb pieces into a bowl and add the sugar, honey, a squeeze of orange juice and 3 tbsp water. Mix well, then lay the pieces flat in a roasting tray. Split the vanilla pods in half, then scrape out the seeds and reserve for the vanilla crème fraîche. Add the vanilla pods to the rhubarb, then bake in the oven for 30 mins. 2. Meanwhile, stir the vanilla seeds and icing sugar into the crème fraîche. When the rhubarb is cooked, drain the juices into a pan, then boil to thicken slightly. 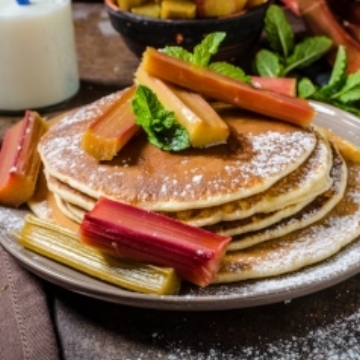 Mix the rhubarb with the stem ginger and juices, then spoon over pancakes. Top with a spoonful of vanilla crème fraîche and a sprinkling of orange zest. 3. Sift the flour and salt into a large bowl. Whisk together the egg and milk in another bowl then, slowly pouring the liquid into the dry ingredients, whisk together until the batter is smooth. Set aside and leave for 20 minutes. 4. To make the pancakes, heat a 20cm/8in crêpe or omelette pan until very hot, drizzle in a small amount of oil and tip the pan to swirl the oil around. Ladle in about two tablespoons of batter mix and immediately tilt the pan from side to side to get a thin, even layer of batter to cover the base of the pan. Cook for around 30 seconds until the underside is golden then flip or turn with a pallet knife. Don't have time to make your own this Shrove Tuesday? Pop into Six Storeys on Soho lobby bar all day for fresh crepes to go. We all know that your big day is all about you and your partner's new life together... but let's admit, impressing our guests is all part of the fuss when planning to tie the knot. Want to know what really wows your guests and has them talking about the wedding for weeks? We've put together a list of how to exceed the expectations of what really matters to your guests. Avoid the confusion and stress of what's happening next by letting your guests know how the day is going to unfold. 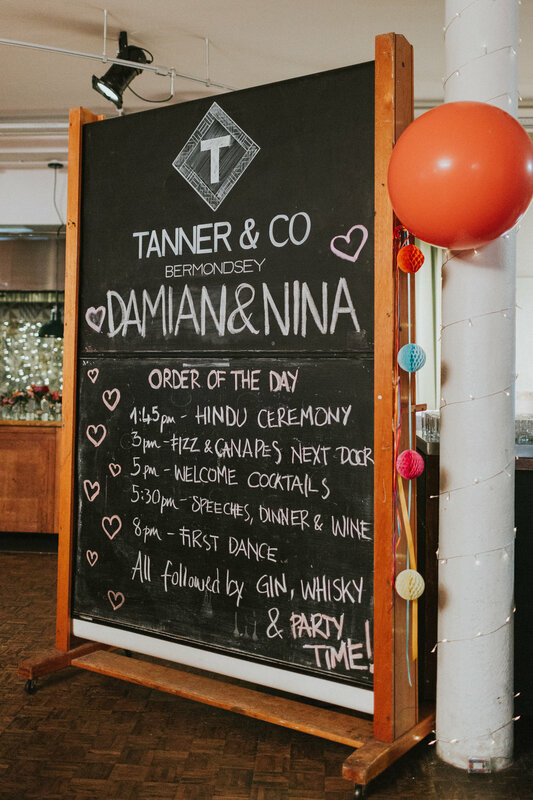 There are a couple of special ways you can display this, our favourite are both beautifully designed A5 card sheets to hand to guests when they arrive or by using a chalkboard to write down the timings and happenings. Guests relax more when they know how the day will run, so make sure you add the order of the day to that never-ending checklist. Everyone loves the speech part of the wedding reception. Whether they are heartfelt and tear-jerking or comedian worthy good, any more than 30 minutes will start to bore your guests. Get those doing the speeches to keep them short and sweet. 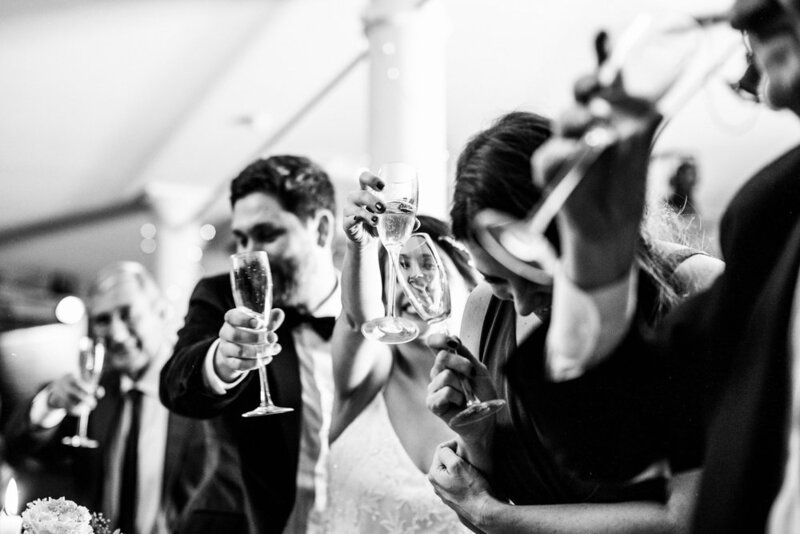 Make the speeches that one step better by getting the guests to play a drinking game, try the words, love, family, friends and watch your guests get boozier as the speeches go on. When booking your DJ and choosing the playlist include all types of music, start with older classics and then turn to songs from the charts and party hits later on in the evening. This gives all the older guests like your beloved grandparents the chance to have a jiggy to some Whitney or MJ and enjoy the night as much as everyone else. A variety of music also means that everybody will have a few songs they really love to dance to, getting all those bottoms up of those seats. The majority of your guests will be happy with any food you choose for them. However, some of your guests will be fussy eaters, have allergies or special dietary requirements and this is why menu options should be available in the pre-order. Our catering team have an events menu that can be adapted to suit any dietary and a Thought of Everyone selection of dishes for whatever serving style you choose. We recommend putting on the RSVP cards a meat or veggie check box, and a space to write any special requirements or allergies so we can sort out everyone from the gluten-free to the vegans. Yes, your guests really do care about who they are next to. We all remember that friends episode where Ross changes table cards and ends up on the children's table don't we? Don't play cupid and seat people together so they can 'get to know each other', don't seat your Auntie who is arch nemesis with your cousin at the same table, don't put one adult as a supervisor on the children's table. Place people fairly so everyone fully enjoys the day, otherwise, it could cause unnecessary drama. To keep the day running smoothly, place people next to their nearest and dearest in the room. Our venues are flexible - if you're struggling to seat everyone just give us a shout and we'll help jiggle the seating plan for you. With Christmas quickly approaching, forget the badly wrapped candles and books that never get read, have a look at our top selection of hassle-free gifts. This guide has something for everyone on your list, naughty or nice! Our Chief Booze Engineer, Patrick Hobbs, encourages you to get that special person something they really want for Christmas this year. "Purchase a Ginspiration Masterclass for a truly unique gift and save yourself the shopping hassle. Gin. Much better than socks." No matter whether it's a treat for your Mum, Dad, Grandma, Grandad, Sister, Uncle or your partner it's sure to impress. Explore our blending masterclasses here. Contact our reservations team now to get you and that special someone booked in. Want something truly unique? 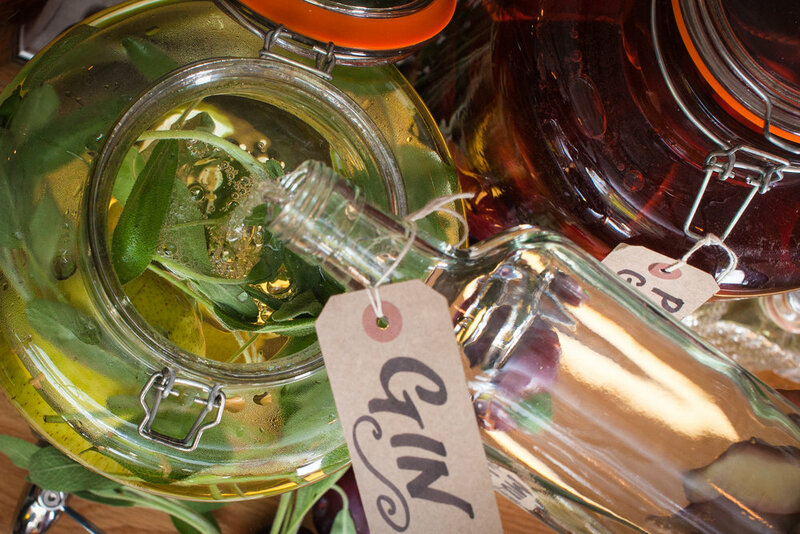 Our take away spirits are crafted by our very own Chief Booze Engineer. The strawberry and basil Vodka is always a crowd pleaser or gift them with our quince and blue cheese gin, they will be shocked at how much they love it! With loads of different infusion flavours to choose from they make the perfect surprise for the whole family. For a little fun open them on Christmas Day and play a 'guess the flavour' game. Save yourself the hassle of a perfectly wrapped gift and treat that special someone to a slap up a meal instead. Experience an evening full of memories you can remember for years to come "Tanner & Co is the perfect place to embrace Christmas over bottles of fizz and our delicious menu, nothing says I love you like wine and delicious food." - Andrew, General Manager at Tanner & Co.
To explore our menus and book the gift of good food and good company click here. Skip the gifts this year and invest in an unforgettable New Year's Eve at our Soho Townhouse, Six Storeys on Soho. Celebrate good times with good friends in a private room or area full of wines, beers and bottomless cocktails without the hassle of queuing and hidden entry fees. Check out our packages here. Save yourself for New Year's Day and treat someone to an unforgettable Bottomless Brunch at Six Storeys on Soho. Enjoy delicious brunch food alongside your chosen weapon - flowing fizz, Bloody Mary's, espresso martinis and more. It's sure to get that special person very merry! With these great wrapping-paper free treats to choose from you will be saving yourself a lot of shopping hassle and giving that special somebody something they really want - you can thank us later! Contact us to discuss any of the above, hello@camm-hooper.co.uk, 020 3869 7009. The 2018 FIFA World Cup Draw Has Been Made!